A number of people must have told you that if you want to ensure protection at your workplace, wearing safety shoes is essential. However, the fact is that wearing the right pair is necessary as different workplace have different requirements to ensure protection. When you wear the perfect and correct pair of shoes, your feet are protected from heavy and pointed objects. Now, the question on your mind must be how to buy the right pair, isn’t it? Well, here we’ve a few different types of safety shoes that you can buy from renowned safety shoes suppliers, depending on your workplace requirements. If you workplace is hazardous and pose a threat to your feet, safety toed shoes are what you need to ensure complete protection. These types of shoes are covered with composite or steel toe caps that prevent your toe from getting hurt. To stay protected from harmful accidents or injuries at risky workplaces, metal instep footwear is necessary. It is designed to protect your feet from sharp and pointed objects such as nails, glass etc. 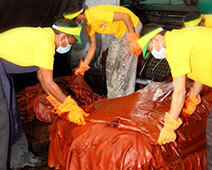 and so is the best pick when working in industrial factories. Does your job demands riding bikes or trucks and pushing pedals? If yes, steel insole shoes are ideal for you. They are designed to prevent joint pains and keep your feet stable. These shoes are the best for those who work with high voltage circuits, machines, wiring etc. They reduce your potential to receive electric shock and as a result ensures your safety even when you’re exposed to high voltage circuits. When you work with or around heavy objects, these shoes are essential to ensure protection from mishaps at such workplaces.Thus, if you work on the construction sites, these shoes are must have for you. Also, the best thing is that they can protect your feet both internally and externally. Thus, different type of shoes meets different work environment needs. 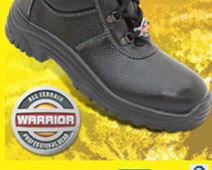 To find the perfect pair as per your needs, browse through our largest selection of safety shoes.